Admission Price: Free to attend, please book a place using the sign up button. The Centre for Law, Justice and Journalism welcomes Ed Richards, Ofcom's Chief Executive, to give a lecture on why regulation is good for broadcast journalism. 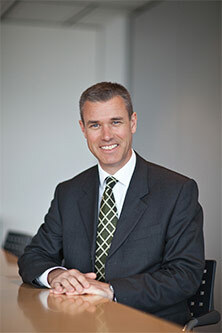 Ed Richards is the Chief Executive of Ofcom, appointed in October 2006. Previously Ed was Chief Operating Officer, responsible for Strategy, Market Research, Finance, HR and other functions. Strategy responsibilities included Ofcom's strategic thinking on the communications sector and covering economic issues and consumer policy. Ed was previously Senior Policy Advisor to the Prime Minister (Tony Blair) for Media, telecoms, the internet and e-govt and Controller of Corporate Strategy at the BBC. He has also worked in consulting at London Economics Ltd, for Gordon Brown MP, for the N.C.U. and began his career as a researcher with Diverse Production Ltd where he worked on programmes for Channel 4.